Everyone wants to hire an experienced and an affordable Dulles airport limo, but a company that offers a cheap Dulles airport transportation is going to have many problems at times. Obviously, this does not mean that you need to pay a lot of money. Look for something that offers a quality service along with an affordable price. Finding such company would have been difficult, but not for the person reading this blog. The answer to all your problems is right here. Dulles Limo Service is the company you should contact to when looking for Dulles airport limo or any other type of services. Without question, we are the best, and what makes us say so? When you book a new company to take you to the airport, you cannot be sure if they will be able to drop you to the airport on time. Do you know if they have enough fleet or a GPS or experienced chauffeurs? What will happen if they don’t have any of them? This simply means you will be subjected to late arrival at the airport! You don’t need to put yourself in this situation. Dulles Limo Service is an experienced company with just the right tools that you require to arrive at the airport on time. We have enough fleet of limos and enough chauffeurs to serve you. Our limos are equipped with a GPS tracking system so that we can track all our cars to make sure they arrive on time to you. Our sole aim is to make your time, money and experience worth with us. We value all our clients and their satisfaction means our satisfaction. Our chauffeurs are aware of all the alternative routes to the city so that traffic and weather conditions is not a hurdle for them. Our staff keeps a constant check on your flight details and any alteration in the flight time and we will inform you and reschedule the limo time. So, once you book our services you can become relaxed and stress-free because we guarantee to drop you to the airport well before time. 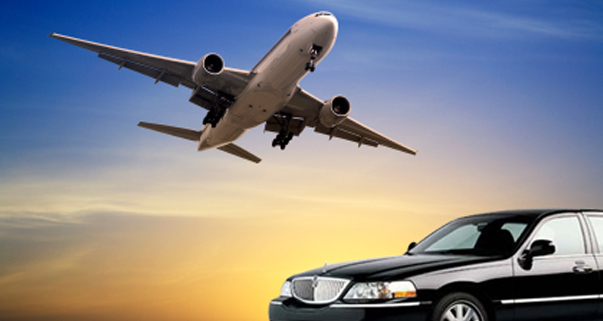 For years, we have been ranked as the best Dulles airport limo by our dear clients. There are many companies out in the market that only thinks about gaining clients without giving much preference to the safety of the customers. Since such companies are usually smaller in size, their chauffeurs are not necessarily experienced and who knows if they have a driving license or not? On the other hand, we at, Dulles limo only hire a chauffeur who is experienced and have a license. We do a safety check before we hire them. Some of the newer companies do not maintain their limos and these circumstances often lead to unwanted accidents. The maintenance of the fleet is very important. Next, it’s time to look at the budget. Dulles Limo offers customized services for the clients where our clients can tailor the features they want as per their budget. We have no hidden charges. You can compare our prices with the other companies and check that the rates we offer are the best in town. Checking the condition of the limo is very crucial. Since you are paying a company for their services, it is your right to enjoy a pleasant Dulles airport transportation. We, at Dulles Limo, make sure that all our fleet is in the perfect condition. Still, if you want, you can check for yourself. There is regular maintenance of the complete fleet of limos, like mentioned earlier. Our huge range of the limos are spacious and are of the latest models. We make sure to offer you are a pleasant and luxurious ride. As our customers are important to us, we offer them discounts from time to time. Since the chauffeurs will be the one who will drop you off at the airport, it is of utmost importance that they are well trained so that they deliver consistently over the years. All our chauffeurs receive special training prior to hiring. All of them greets the clients in a polite manner and offers their assistance, when asked for. Chauffeurs, as we all know are the road map offering their guidance so that the client is at ease and comfortable with the ride. We are successful because we trust out chauffeurs to behave in a professional manner with all the clients. If you have a client who needs to be picked up from the airport, it is best to send them a Dulles airport limo because since your client is new to the area, it will make them feel at ease knowing that Yes! There is someone to look after my needs! And come one, we can’t deny the obvious that every once in a while, receiving a royal treatment makes everybody happy. Make your client at ease, and eliminate their stress of hiring a cab. Just book our Dulles airport limo today. Let them sit back and take the view of the city in. Lastly, a more experienced company will allow a better customer service and staff. The last thing you want is a rude and obnoxious customer support staff. Dulles Limo only hires courteous and polite people because we understand the importance of the saying that ‘the first impression is the last one.’ And this especially holds true in business. Our customer care support is available round the clock, so call us anytime of the day or night, we are always there to help you answer your doubts and questions. To know more about us, our company and our services, kindly visit our website www.dulleslimoservice.com now and to get in touch with our customer care representative, just call us now on 571 257 3646 or drop us an email at contact@dulleslimoservice.com today! We are eagerly waiting for your call!